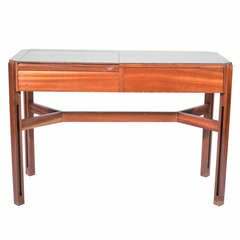 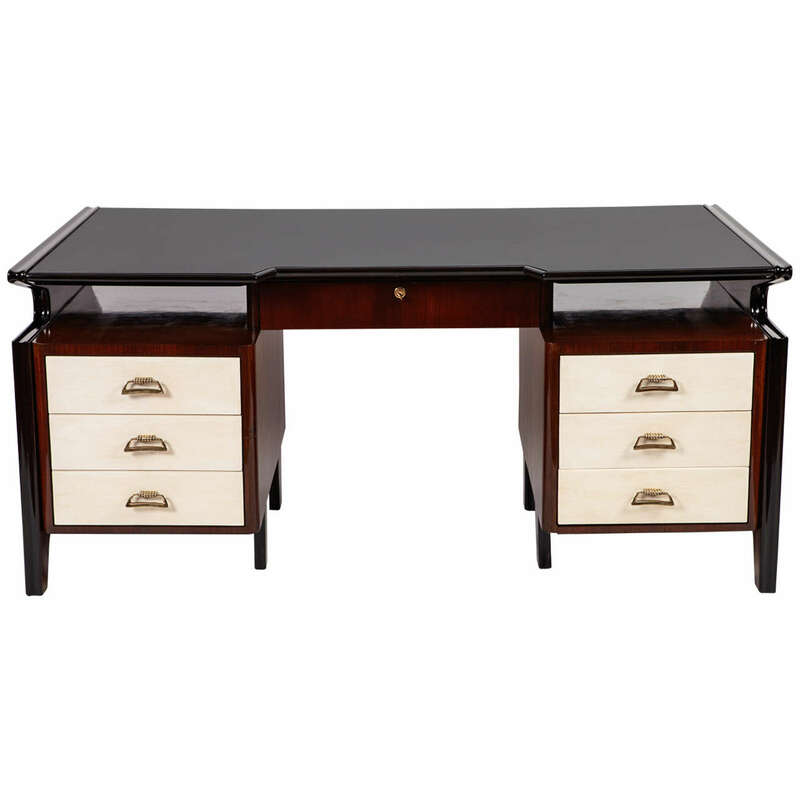 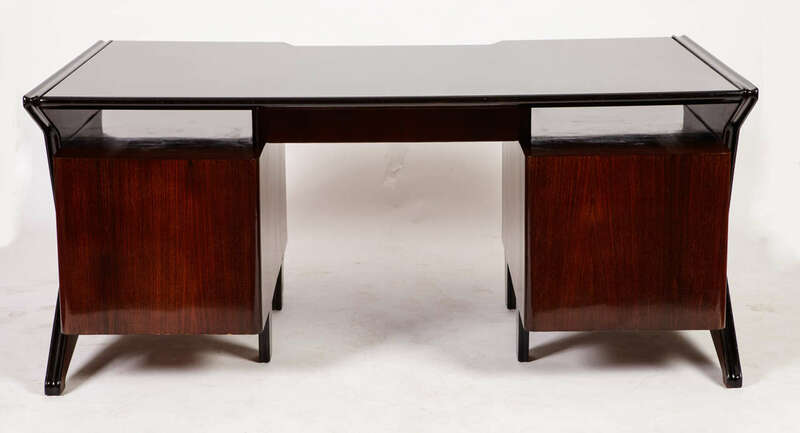 Executive desk attributed Arch. 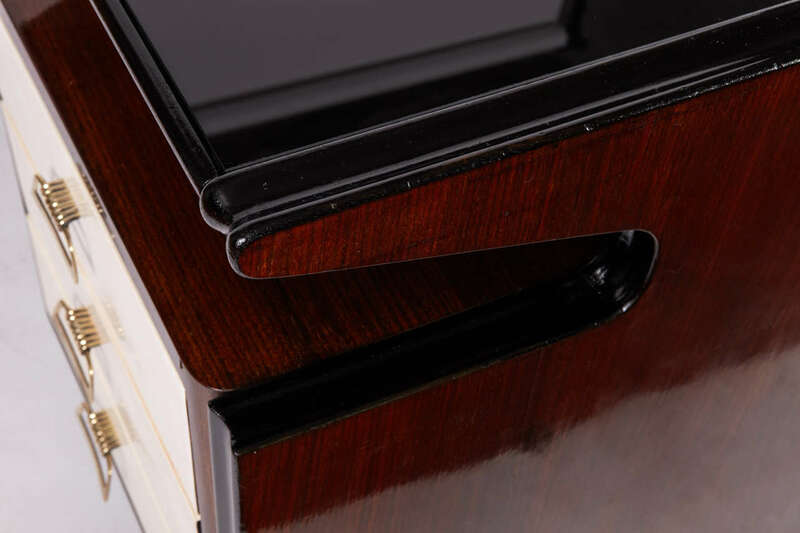 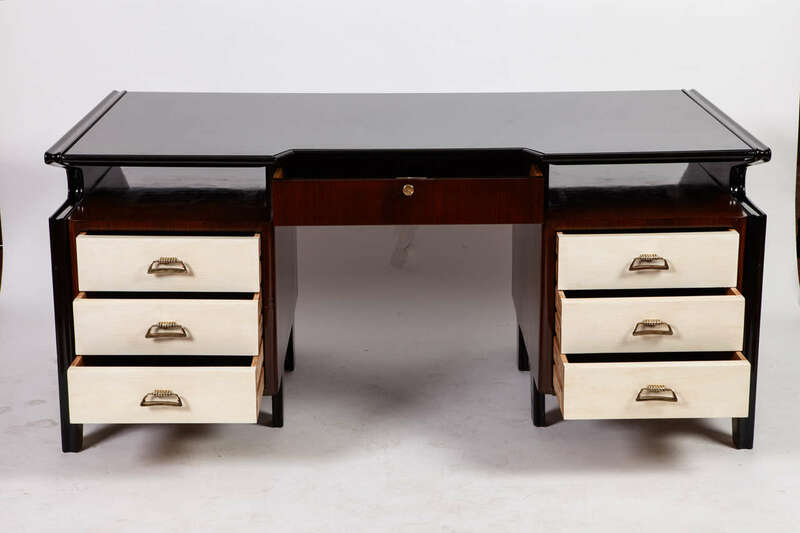 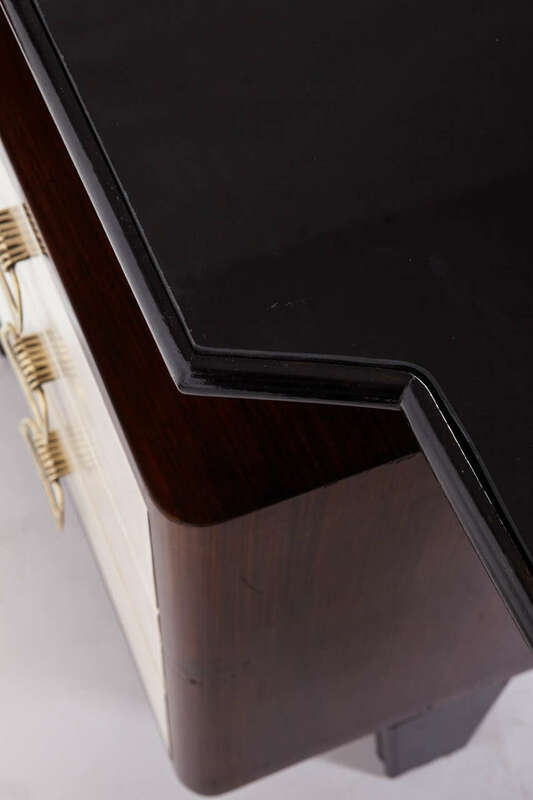 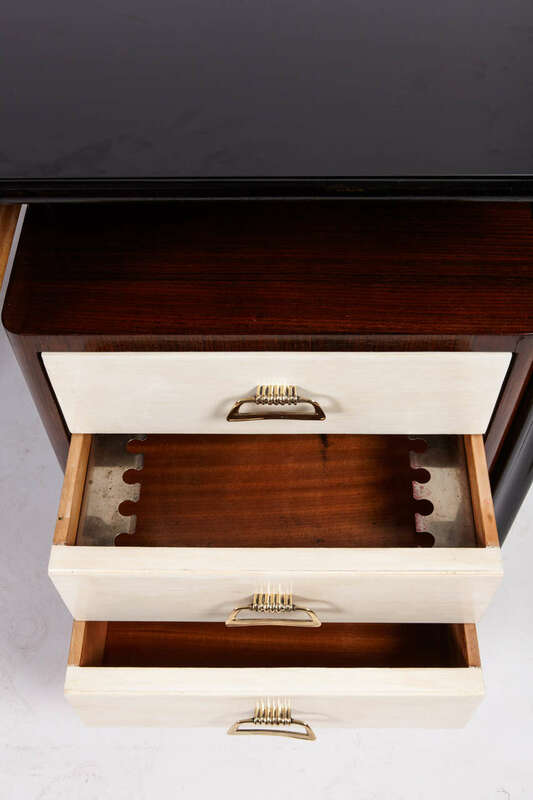 Carlo de Carli, 1950 Seven drawers ivory lacquered, rosewood and crystal black top rosewood, brass, black crystal. 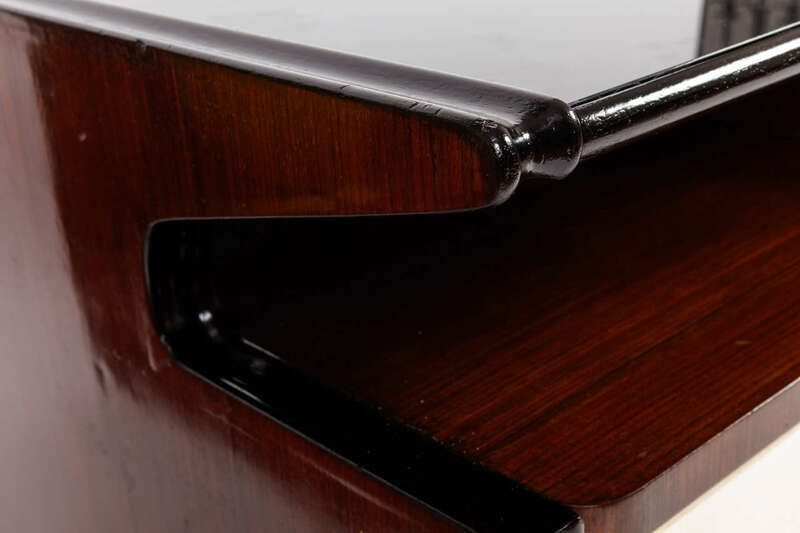 Measures: H 80cm, 99 x 180 cm. 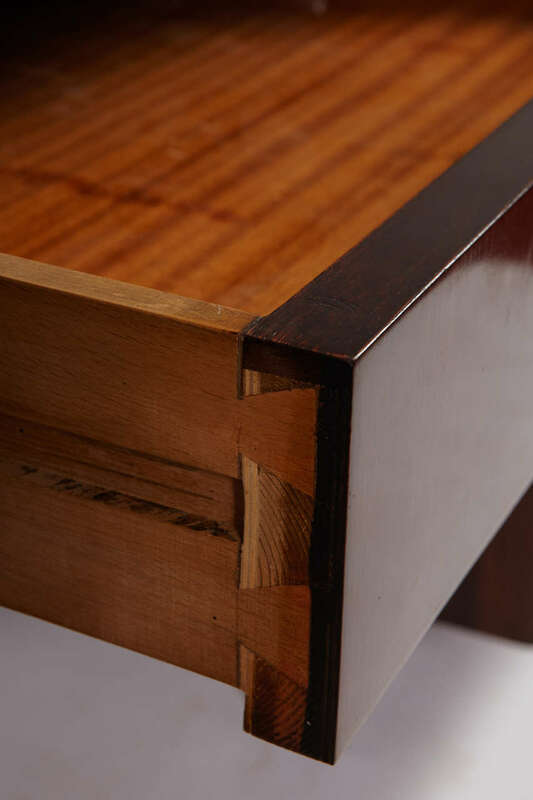 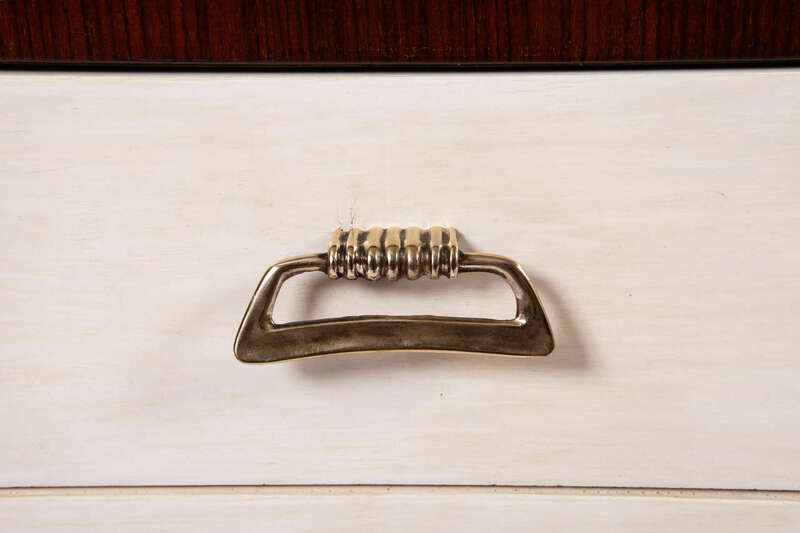 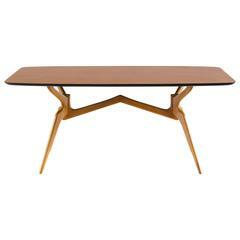 Astonishing original Italian Spyder/ragno table in walnut designed by Carlo de Carli, 1950s.